All of our jobs are advertised on the national NHS Jobs website. 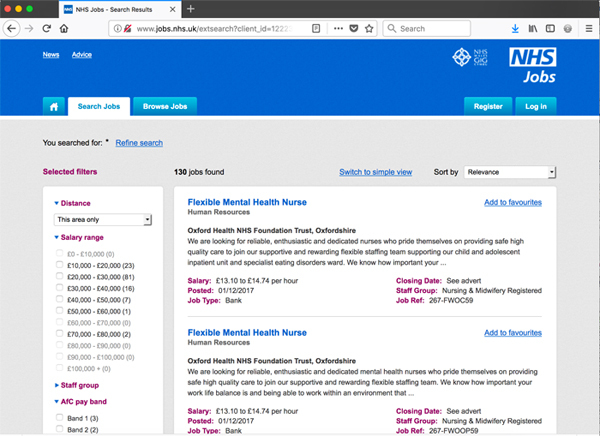 Click the button below to view all current vacancies at Oxford Health NHS Foundation Trust. You can also look at our temporary work staff bank for vacancies. Or you can email us at careers@oxfordhealth.nhs.uk, or call us on 01865 902822 during normal working hours.